Separate clean and dirty water tanks. Not the lightest Hoover carpet cleaner. SpinScrub Technology – Hoover’s patented SpinScrub Technology featured counter-rotating brushes that attack dirt from every angle. 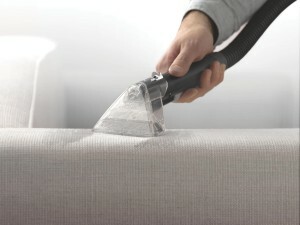 The Max Extract 60 has this characteristic technology that makes Hoover one of the best selling brads in carpet washers. The movement of the brushes make sure that all the dirt contained within your carpet gets cleaned out effectively. Pressurized Water Jet For Deep Cleaning – If there is dirt stubborn enough to resist the spinning of the brushes, a wall of pressurized water is released by the Max Extract 60 Pressure Pro that will deep clean those remaining dirt. It’s an extraordinarily well suited pick for pet owners who have to deal with urine and poop stains. It’s equally well suited for carpets that walked on a lot, like those on the hallways of companies or institutions, but also for those at home. High Powered – The Max Extract 60 has a pretty high power, of 10 amps, which makes it comparable to commercial grade carpet washers. Most customers who bought this item were very pleased with this. 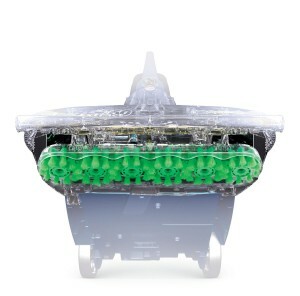 Widepath – This carpet washer uses 6 brush heads, which is one more than the SteamVac. This is an exceptional advantage as you can finish off bigger areas in less time, or be 20% more efficient when cleaning any area, meaning you can finish faster no matter what. Separate Clean/Dirty Water Tanks – For some users of this product, the 2 separate tanks for clean and dirty water was a deciding factor towards choosing the Max Extract 60 for their carpets. Many people prefer the freedom to administer each of the tanks separately, as opposed to using carpet washers with single tanks that are compartmentalized for clean and dirty water. Separate Detergent Compartment – The separate compartment for detergent added by Hoover on this carpet washer is very practical. You can leave any detergent that’s left after you finished cleaning in this separate compartment for the next cleaning session. 9 Ft Hose & Upholstery Tool – Another practical feature that comes with this machine is the 9 ft hose and upholstery tool. You can use it to clean couches, stairs and it will yield great results on car seats as well, according to some customers. It’s also very easy to use, which is a an important aspect when thinking how complicated some accessories are. Cord Length – One of the most annoying aspects of cleaning machines is the inability to move freely around larger areas due to reduced cord length. 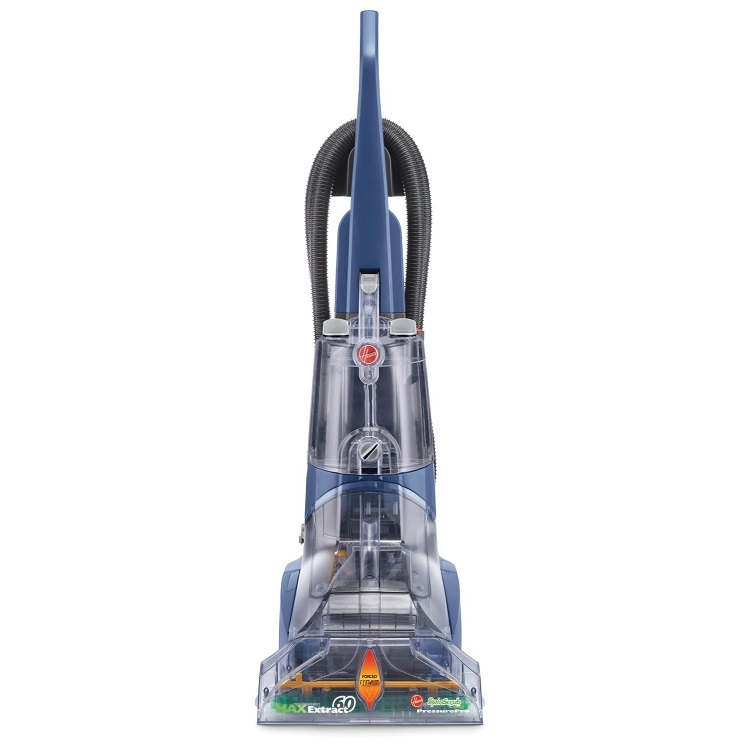 The Hoover Max Extract 60 has a 20 ft. cord that let’s you concentrate on cleaning and reduce time by not constantly having to plug & unplug the machine. 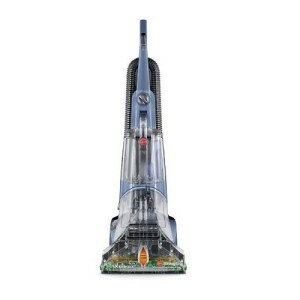 2 Year Warranty – The 2 year limited manufacturer warranty from Hoover gives that extra assurance and peace of mind, and is a pretty nice addition to the package, I must say. 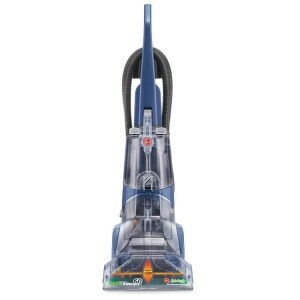 How well does the Hoover Max Extract 60 Pressure Pro actually clean? As seen so far, the Max Extract 60 seems to be a great solution for anyone’s carpet cleaning needs. But, how does it manage to do such a good job? As mentioned before, the washing head has a 6 brush-system that makes an already efficient tool into a super-efficient one. 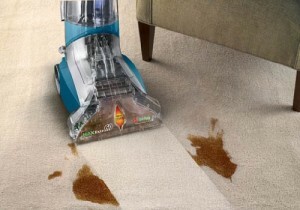 You’ll not only save time, and I think that’s an aspect worth taking into account, but you’ll also clean the carpets better due to the pressurized water mechanism that deep cleans them, to almost commercial grade quality. In case you think the time it takes for the carpets to dry afterwards is pretty long, think again. 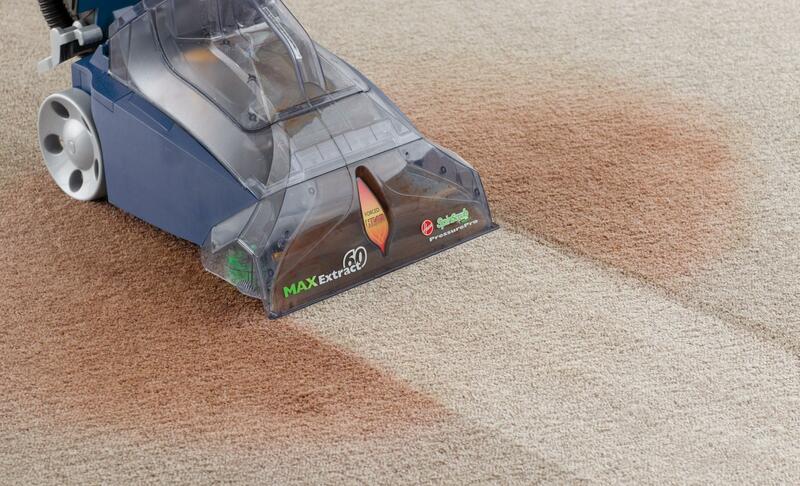 The Max Extract 60 is equipped with two features that work in tandem to make sure your carpets are as dry as possible, considering it’s a wet cleaning. It combines a hot air stream with even suction of the water out of the carpet, to minimize the time it takes for your carpets to dry. One of the big advantages of this carpet washer is its size, which notably shortens the entire cleaning process. You will probably be able to finish off the entire place on one go and due to the width of the head your getting more done, at a faster rate than with regular vacuums. There’s one disadvantage in terms of time saving, though. 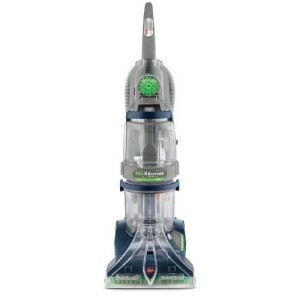 It only has one speed, which is well suited to perform a fast and thorough cleaning of your carpets, but the ability to change gears could have improved this aspect even more. Separate clean & dirty water tanks. Weight 30 lbs. 18.1 lbs. 21.9 lbs. 22.5 lbs. Read the manual – This is by far the best thing you can do, before you start using your carpet cleaner. Of course you can check it out after use too, because there you will find a source of helpful information that will ensure you’re using you cleaner properly. Make sure to set everything correctly– Make sure to put everything in place without rushing this part. Your desire to give it a try as quickly as possible, might result in not putting the component together the right way. Although chances of getting it done wrong are low, paying attention always makes a difference. Use Hoover branded detergent – You might think that any kind of detergent will work, and this is partly true. The thing is, you might be using a harder detergent, without knowing, and in time your carpet cleaner might start to leak because of the erosion that appears at different levels. So, although you could theoretically use any detergent, save yourself a headache and go with Hoover branded detergent. After this in-depth look we took at the Hoover Max Extract 60 Pressure Pro, and the average great opinion of people who already bought and tested this carpet washer, it’s decision time. 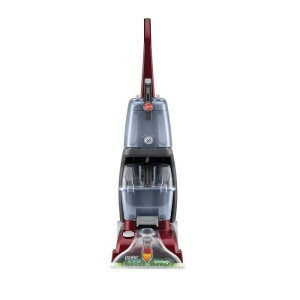 Overall, it’s a solid cleaning machine that’s easy to use and does a great job in giving old carpets their life back. As with any product, there are pros and cons, but if you look for a good solution for your carpets, this might just be it.